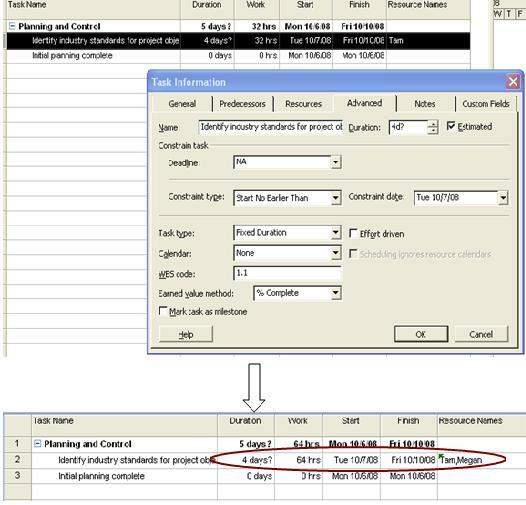 If the task is non-effort driven, project assumes that the work of a newly assigned resource to be added to the existing work of all other named resources. If you assign a second resource and who also works full time on this task; assignments of the existing resources will not be changed. Total work now rises from 32 hours to 64 hours and duration is still 4 days.